Since Invisalign is nearly invisible, you can straighten your teeth without anyone knowing. 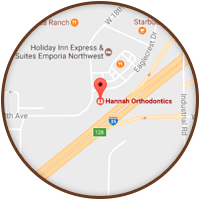 Dr. Joseph Hannah is a certified Invisalign treatment provider. He has treated many cases with this leading edge appliance system. 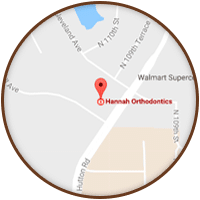 Have you ever wished for a straighter, healthier smile, but not looked forward to all the metal wires and bands that often go along with braces? 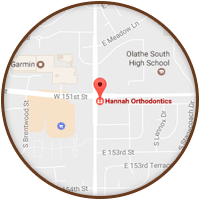 At Hannah Orthodontics we can make your dream of having a new smile come to life.We give patients a “clearly” effective and incredibly comfortable way to wear braces! To learn if you’re a candidate for Invisalign, or if your child is a candidate for Invisalign Teen, contact our office today to schedule your complimentary evaluation. Invisalign uses a series of customized, clear aligners to straighten teeth faster and with fewer office visits than traditional braces. Thousands of orthodontists in the United States and Canada use Invisalign braces to accurately and effectively treat their patients. Completely invisible – Invisalign aligners cannot be seen while you are wearing them! Friends, family members and co-workers may never even know you are wearing braces … unless of course, you tell them! Customized just for you – Your aligners are customized to fit your mouth. 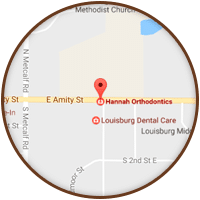 We use advanced 3-D computer imaging technology to replicate an exact impression of your mouth and teeth, then he customizes each aligner so that it fits your mouth, and over time moves your teeth into the proper position. Removable –Unlike traditional metal braces, you can remove your aligners to eat, drink, brush your teeth, floss and for special occasions. There’s no need to change your lifestyle! 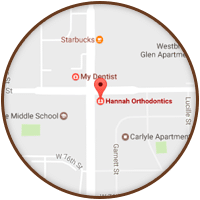 You have a straighter, healthier smile without all the noticeable wires and brackets of traditional braces. These aligners are removable making it easy for you to enjoy the foods you love without worrying about breaking or bending your brackets and wires. You can also remove your aligners to brush and floss regularly. You don’t need to change anything about your current lifestyle! With Invisalign you can continue participating in day-to-day activities without changing a thing. When you begin your treatment you receive several sets of custom-fit aligners. 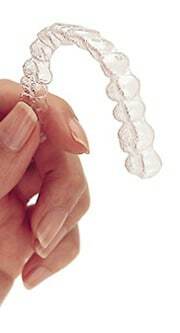 Each set of aligners is worn for only two weeks. After two weeks you can switch your aligners with the next set and continue straightening your teeth. Over time you will notice changes in the alignment of your teeth and in just a few months you will have a straighter, healthier smile!